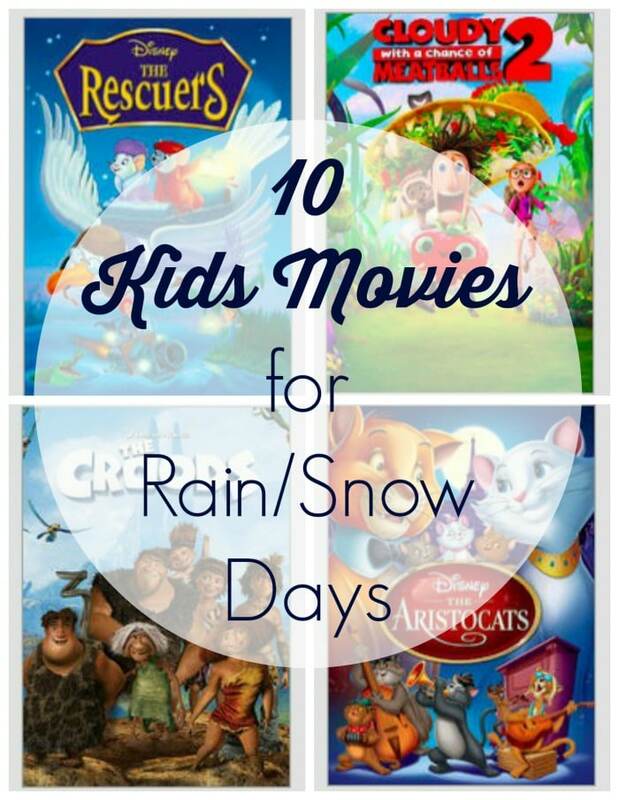 This post on 10 Kids Movies for Rain/Snow Days on Netflix Streaming is in partnership with Netflix as part of their #StreamTeam! Our weather has been flip flopping a lot lately. This is by no means the coldest winter we’ve had since moving to Austin, but it’s nowhere near the mildest either. We’ve been having periods of a few 60+ degree days and then another cold front will swing through and we’ll be in 30s or 40s. Saturday we were at Sea World San Antonio and I regretted not wearing shorts because of the warm 80 degree day. On the other hand, today the high temperature is only expected to be 35 degrees with freezing rain and ice. I know it’s nothing compared to the blizzards in other parts of the country, but for us when the temps dip below 60, our thin blooded bodies can’t take it and spend a lot more time inside. With an entire week of cold weather we’ll be spending a lot more time with Netflix Streaming. Possibly even more time movie watching than we think, since there’s already emails going around that school maybe cancelled because of the cold and ice tomorrow. No school = movie marathon! And since I know we’re not the only ones that will be holed up at home after school, I decided to make a list of my girl’s top 10 Kids Movies for Rain/Snow Days on Netflix Streaming! Have you or your kids watched any of these movies? What kids movies are you streaming on Netflix? Looking for even more options on Netflix streaming? Check out these 19 Movies for Animal Lovers!